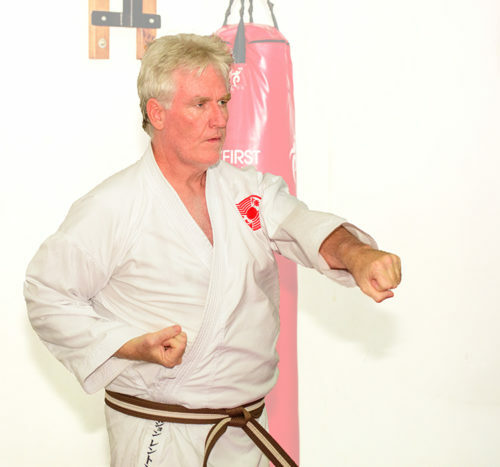 I was 54 years old the very first time I walked into a karate dojo. That made me the oldest person there. I was a successful professional, I had sailed in world championships, and I was in the first 15 rugby team at school. But none of that prepared me for what I’d find in the dojo. I don’t have time in my busy schedule for this. I didn’t even make up my mind to try the class until the last minute. Then, I took a deep breath and stepped onto the mats. No one cared how old I was. I had stopped thinking negative thoughts and was concentrating on paying attention and learning what to do. At the end of that first class, the whole family was hooked. Me included. That first class was six years ago. I’ve since progressed to the first of three brown belt levels. And I won’t lie: there have been some challenging moments. But now, if I don’t train at least three times a week, I feel antsy and uncomfortable. I travel a lot for my work. A lot. So, I learned to do hotel room karate, finding space to train wherever I was in the world. Anytime I was home, I made it to the dojo as often as possible. 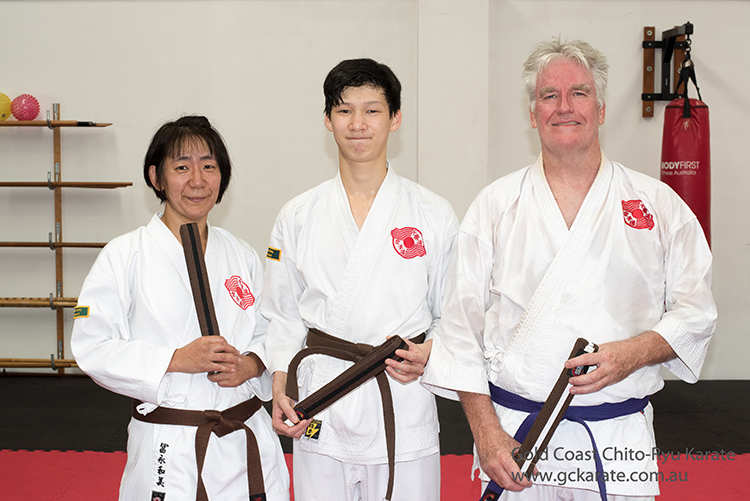 I listened to the feedback and advice I received from my sensei and from senior students (sempai) and I worked hard to improve. And the one thing that has improved the most as a result of karate is something you might not expect. When I first started karate, my mind was often racing all over the place. It was hard to get a handle on my thoughts. 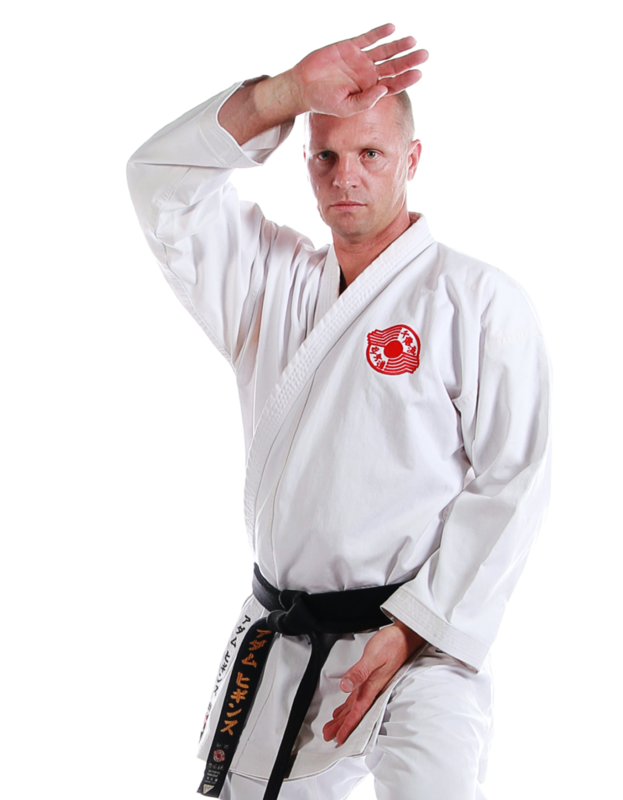 I would often stand up to do a kata (form) and forget how to even start. I would get halfway through a kata and just stop, drawing a complete blank on what to do next. But the more I’ve trained in karate, the clearer and calmer my mind has become. Sure, I still draw a blank sometimes. But nowhere near as much as I used to, and no more than anyone else in the dojo. It turns out, physical exercise is the most effective way to keep your brain active and healthy. Don’t take my word for it: these scientists at Harvard have figured it out: https://www.health.harvard.edu/blog/regular-exercise-changes-brain-improve-memory-thinking-skills-201404097110. 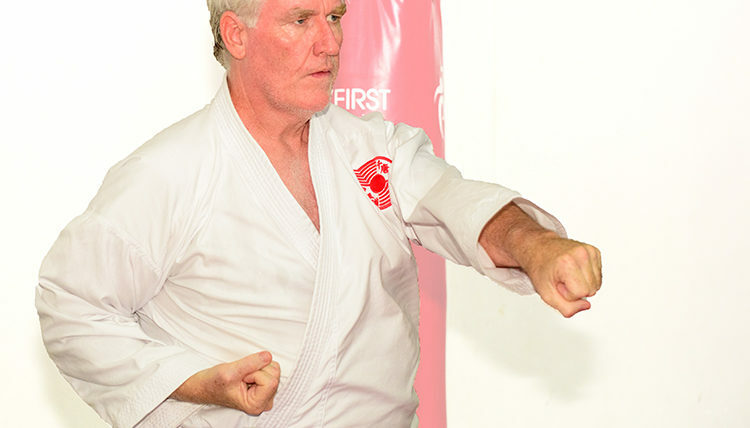 So why’s karate the best type of exercise? Everyone gets different benefits from the type of exercise they choose. For me, karate is the perfect mix of physical exercise and mental stimulation. Sometimes we just concentrate on getting our heart rate up and working up a sweat. Other times, we’re focused on activating certain muscles or perfecting certain techniques. At the beginning and end of class, we take a few minutes for silent contemplation or meditation. These moments of stillness help centre me and prepare me for what’s next. You’re never too old. You can go at your own pace and work around any injuries or limitations your body may have. It’s not dangerous. We practice safely and everyone in the dojo is committed to learning, not trying to show how tough they are. I’m happier and calmer, and my brain works more effectively, when I’m training versus when I’m not. There’s always time for karate, even if you can’t make it to the dojo. Being part of a dojo gives us a community, a karate family, that supports and challenges us. Karate is just plain fun!